This Clock hangs in the rear of the Sanctuary on the face of the balcony. 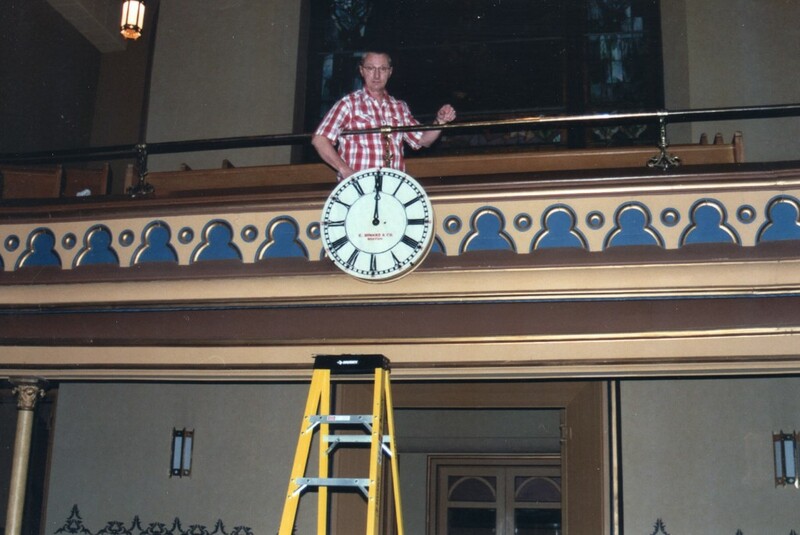 The Church had taken the clock down for repairs. 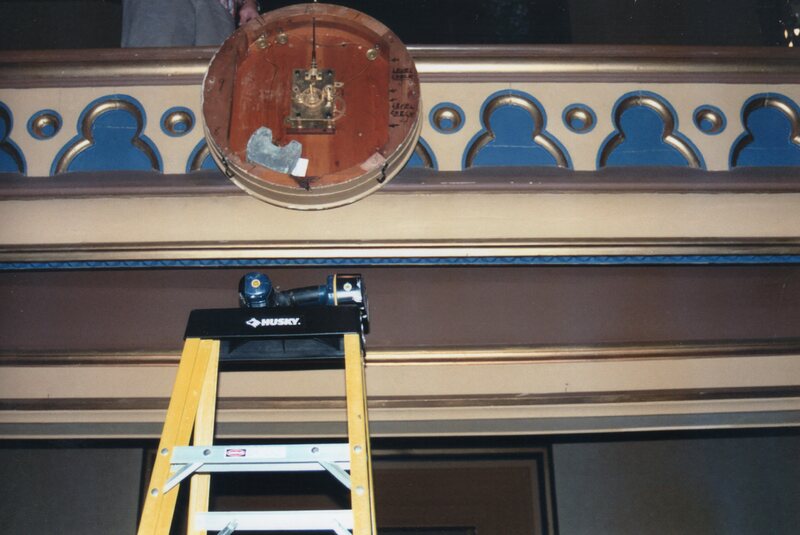 The Clock was repaired by Ralls County Clock Works Company in Hannibal, MO for no charge. Their web site can be viewed at http://rallscountyclockcompany.com/ . The following photos are of the installation after the repairs were complete. 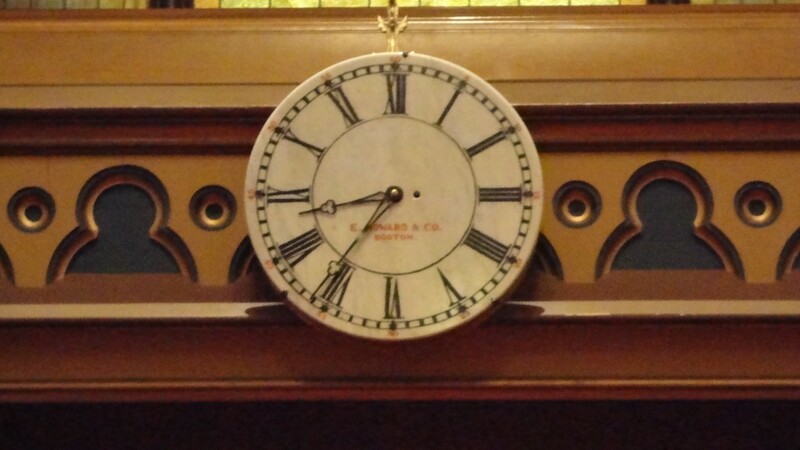 This Clock was manufactured by E. Howard & Co. We believe the Clock was manufactured in the 1890’s. A view of the inside of the clock with the face removed. 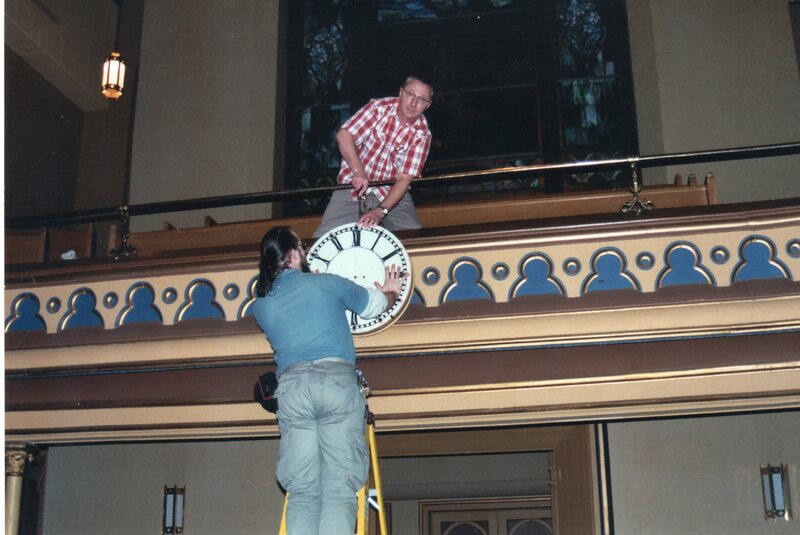 Aaron Stratton and Bill Buss installing the face to the clock. Bill Buss with the clock face and hands installed.